Fit effortlessly under any table top, this dining side chair is both sturdy and stylish. Its simplistic design is fit for both formal and casual occasions, featuring slim legs, as well as a slat back. Whether placed at your family dinner table, or at the side of a large banquet table, this chair will complete your dining experience. 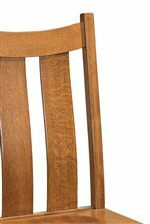 The Franklin Amish Side Chair by Indiana Amish at Walker's Furniture in the Spokane, Kennewick, Tri-Cities, Wenatchee, Coeur D’Alene, Yakima, Walla Walla, Umatilla, Moses Lake area. Product availability may vary. Contact us for the most current availability on this product. 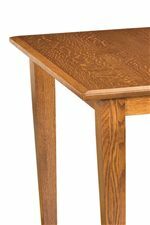 Celebrating the simplicity of the Shaker design, the Franklin Amish Dining Collection makes anyone feel right at home. With quality construction, skilled artistry and a work ethic instilled by generations of Amish craftsmen, Franklin has the customizable look and hand-crafted construction you are looking for. Built with an abundance of storage and shaped by bevel edge tops, slat-back chairs and simple, yet soft lines, Franklin puts you at ease in more ways than one. The Franklin collection is a great option if you are looking for Casual furniture in the Spokane, Kennewick, Tri-Cities, Wenatchee, Coeur D’Alene, Yakima, Walla Walla, Umatilla, Moses Lake area. 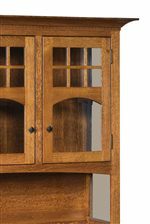 Browse other items in the Franklin collection from Walker's Furniture in the Spokane, Kennewick, Tri-Cities, Wenatchee, Coeur D’Alene, Yakima, Walla Walla, Umatilla, Moses Lake area.